Cinema of the Dam’d responds to the rise of the far-right in Italy with an exploration of the best leftist cinema about Italian life. Tonight we are pleased to invite you to Jeff Malmberg and Chris Shellen's Spettacolo (2017). In Italian, “Monticchiello” sounds like the name given by a child to a tiny hill, or a small mountain. For this reason, the small town of Monticchiello might be reduced to the image of a postcard Tuscan village with little cultural life. But Monticchiello has always been much more than a quaint collection of pastel-colored houses. For decades, the citizens have cast themselves as the actors in a large, community-wide theatrical production dramatizing the town’s present and past challenges, starting with the Nazi occupation of the town during World War II. Expanding on the themes of his remarkable documentary Marwencol (2010), Jeff Malmberg along with co-director Chris Shellen investigates the therapeutic power of performance and theater. 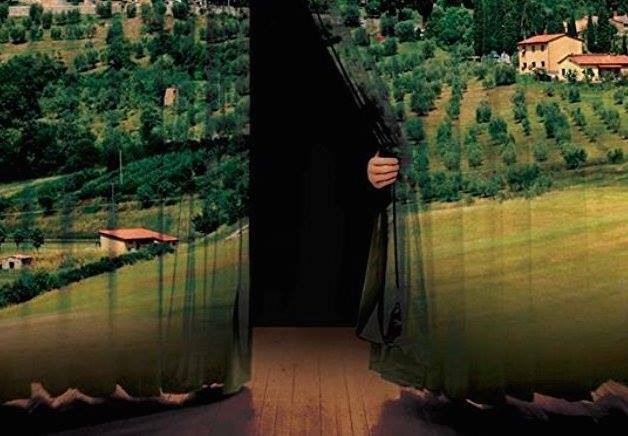 Gentle and observant, Spettacolo follows Monticchiello's theatre group Teatro Povero in a collective process that brings people together, while bringing new play to life. Watch the trailer. Directed by Jeff Malmberg and Chris Shellen, 2017, USA, 89 minutes. In Italian with English subtitles.